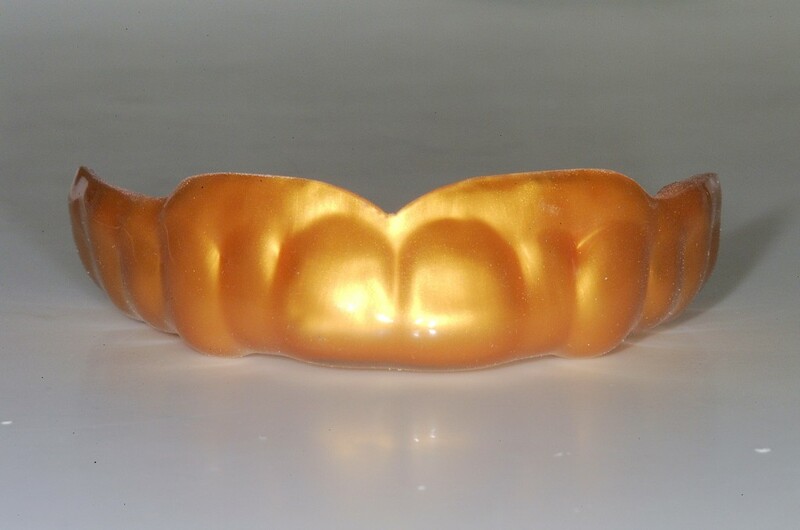 A mouth guard is an appliance made precisely from an impression of your own teeth. Contrary to those sold in stores, the mouth gards made at the clinic are better adapted to your mouth and are more comfortable. Wearing a mouth guard is essential when practicing contact sports and/or where falling is a risk. Reduces the risk of fractures to your teeth and jaw. Considerably reduces the risk of concussions. Reduces the gravity of injury to gums and soft tissues of the mouth. A mouth guard is highly recommended when practicing sports such as: hockey, football, soccer, boxing, martial arts, skiing and more. Like the professional teams you can personalize your mouth guard by choosing the colours and the logo you desire. An intelligent choice for sport fans young and old!